The pampered pets of Japanese nobility since the middle ages , chins , or Japanese spaniels , came to the west in the 17th century . they were presented to royalty and favoured by European ladies as loyal companions . 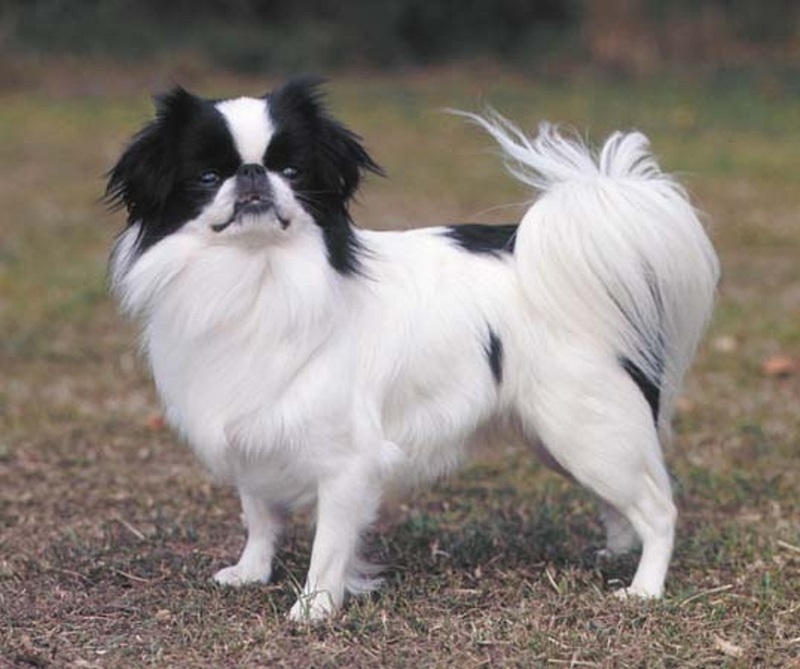 chins were probably crossed with toy spaniels , such as th king Charles spaniels . Chin means catlike , and the breed has a reputation as a quiet dog , ideal for urban life . the long straight coat require daily grooming , and the flat face can lead to breathing and heart problem .